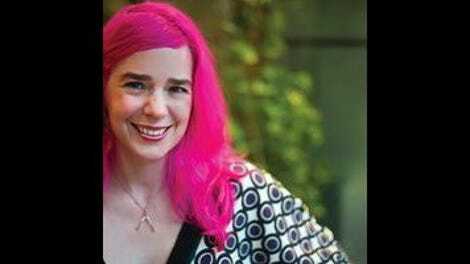 Laini Taylor, bestselling author of the Daughter Of Smoke & Bone trilogy, likes to play with her readers. 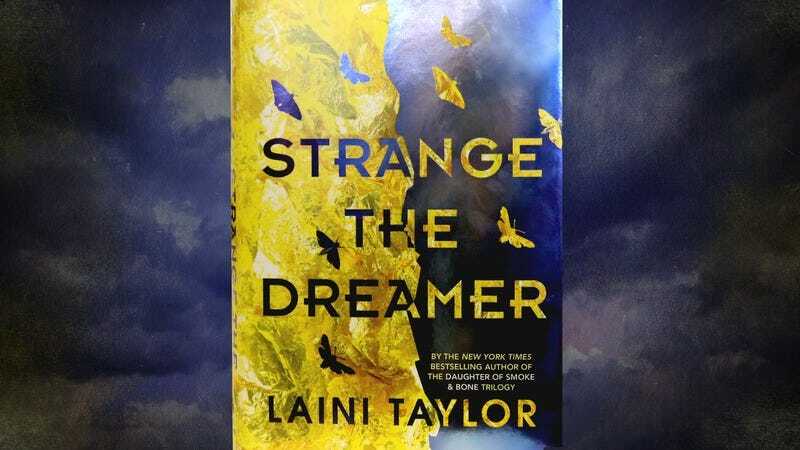 Early in her latest fantasy novel, Strange The Dreamer, a group of people with an eclectic mix of skills is recruited to help the city of Weep with a mysterious problem. When one of the travelers, Calixte, starts taking bets on what that problem is, she’s effectively asking the other characters and the reader to guess the book’s plot. The title character, Lazlo Strange, is hesitant to weigh in but is cajoled by his gambling friend. That’s exactly what Taylor has done with Strange The Dreamer, the first in a planned duology. She’s abandoned the fantasy spin on the real world she used in Daughter Of Smoke & Bone and her National Book Award finalist Lips Touch: Three Times in favor of a wholly original setting. The narrative is mostly split between Strange, an orphan librarian obsessed with fairy tales and magic, and Sarai, the secret daughter of Weep’s greatest hero and the goddess of despair. Weep’s problem is that six beings of immense power descended upon the city 200 years ago and demanded worship and tribute. The latter largely came in the form of abducting young men and women to “serve” in their floating citadel by producing magically gifted children like Sarai, who has the ability to enter and manipulate the dreams of anyone in the city. When the people of Weep rose up to slay their oppressors 15 years ago, they could do nothing to remove the citadel from the sky, where it remains a painful reminder of their collective suffering. It’s also hiding Sarai and four other god-born survivors of the bloody uprising. Taylor expertly plays with the tone of the book, moving between wondrous descriptions of Weep’s beautiful architecture with darker passages about its people’s collective trauma. Details that seem like they are just adding descriptive flavor, like the tattoos all of Weep’s women receive around their navels when they come of childbearing age, find darker significance when it’s clear they serve as a marker for pregnancies the gods forced on them and then made them forget. While Strange sees his dreams come true as he journeys to Weep and learns about its mysteries, Sarai and her fellow “godspawn” live in constant dread of discovery. Their meager and lonely existence is ruled by Minya, whose power to bind ghosts to her service has kept them alive. She’s the only one old enough to remember the uprising, and her thirst of vengeance mixed with deep guilt make her a terrifying villain. Strange The Dreamer both tells a great story and plays with the framework of storytelling. As a librarian, Strange is told his job is to chronicle the great deeds of others, not to have adventures of his own. When Strange discovers a secret that can help the beloved noble Thyon, he shares it without a thought of profit because he thinks that the other man is a more deserving hero. He’s honestly a little too good, his mix of endless compassion and naiveté never quite biting him as badly as it should so that he can be a seemingly perfect hero. Sarai’s a more compelling narrator, torn between knowing that the people of Weep view her as a monster and the feeling of empathy she has for them by watching their dreams and nightmares. It’s actually the supporting characters that have the most intriguing stories. Sarai’s father, Eril-Fane, is beloved as the savior of Weep but takes no pleasure in tales of his heroics because he’s too consumed by guilt over the price he paid for his freedom. Then there’s Thyon, the beautiful alchemist who hates Strange for the compassion he showed him. His own struggles with the expectations of greatness and how his and Strange’s stories have intertwined make him a remarkably complex antagonist. Taylor also delivers on her promise of something beautiful, particular in the dreamscapes where Strange and Sarai meet and inevitably fall in love. Her lush descriptions of conjured confections for tea parties, and magical fog and nightmares transformed into fireflies by force of will, bring extra sweetness to the budding romance. Taylor also has fun bringing levity to the plight of the godspawn by exploring the problems inherent in teenagers growing up in isolation and discovering their relationships to one another changing with their bodies. Strange The Dreamer ends with a dramatic climax, beginning to resolve some issues while leaving plenty of mysteries for the duology’s conclusion. There are still monsters left to fight, and Taylor doesn’t lack for wild ways to describe them. Purchase Strange The Dreamer here, which helps support The A.V. Club.